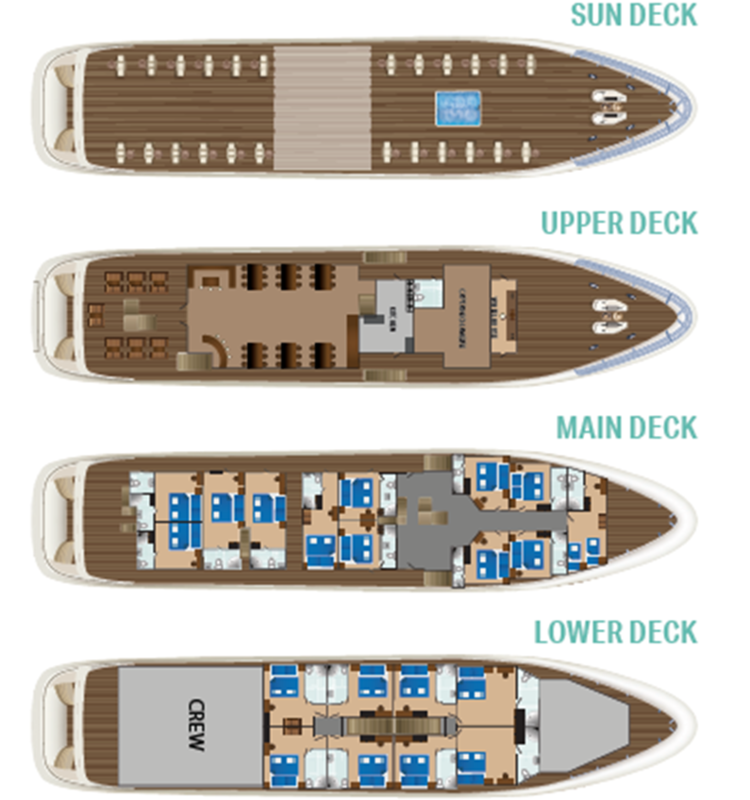 Built for the 2015 cruising season, the MV Diamond is a deluxe vessel that features the latest state-of-the-art technology, equipment and amenities. Safety features are of the highest standard. 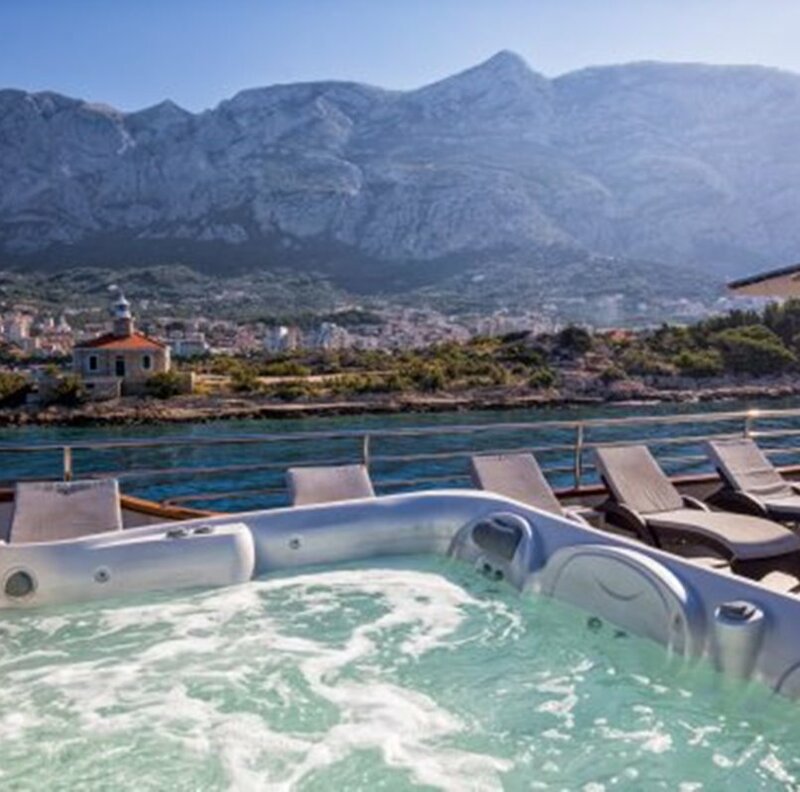 On board, guests can relax in spacious and comfortable cabins and in expansive public areas that offer exceptional panoramic views of the spectacular rolling scenery. There is a large restaurant with a canopied outdoor lounge, and a partially covered sun deck offering ample sun lounger seating. To the rear of the ship is a swimming platform with ladders for easy and direct access to the water during scheduled swim stops. 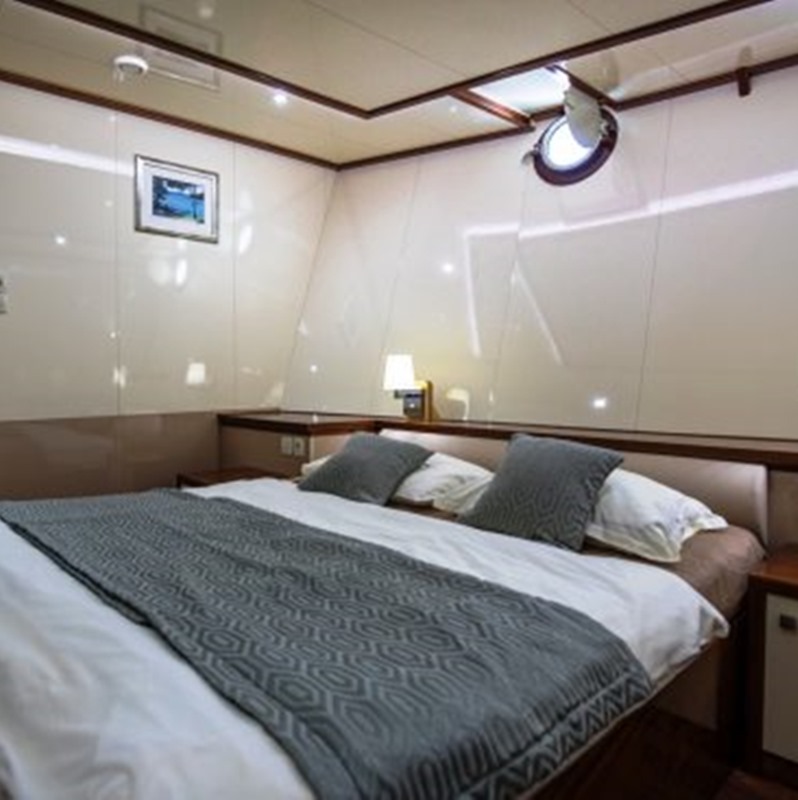 Accommodating up to 40 guests, the MV Diamond’s 20 air-conditioned cabins offer ample space and luxurious comfort during an intimate small cruise adventure. The cabins are arranged over the main and lower decks and feature a private en suite bathroom with shower, flat-screen TV, wardrobe, desk, hairdryer, in-room safe and a selection of complementary toiletries. The standard double and twin cabins, two of which can be converted to triple occupancy, also boast windows or portholes. The cabin décor is elegant and timeless and finished with chic designer touches. Whilst dining in the spacious salon-restaurant guests can enjoy delicious and authentic cuisine and panoramic ocean views from the large windows. Comfortable and elegant communal seating allows for all guests to be catered for in a single sitting. The outdoor lounge area is equipped with comfy sofas and tables for a luxurious alfresco experience. 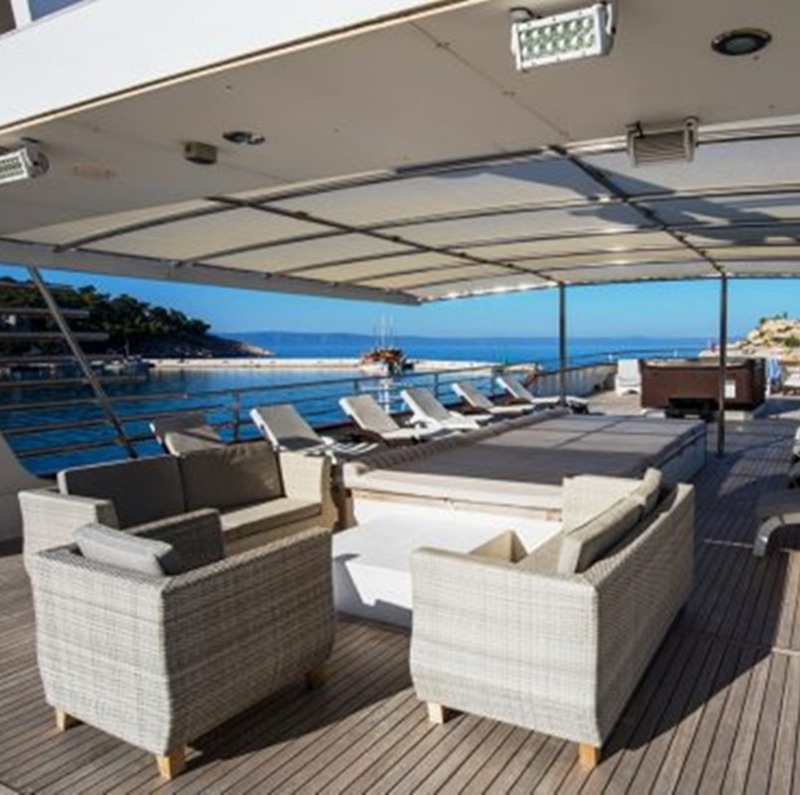 The large semi-canopied sun deck boasts a relaxing Jacuzzi and an array of sun loungers and deck chairs where guests can unwind and soak up the sunshine. Access to the sea is via the ladders situated on the swimming platform at the rear of the ship. Throughout your trip, look forward to lots of fantastic gastronomic delights. 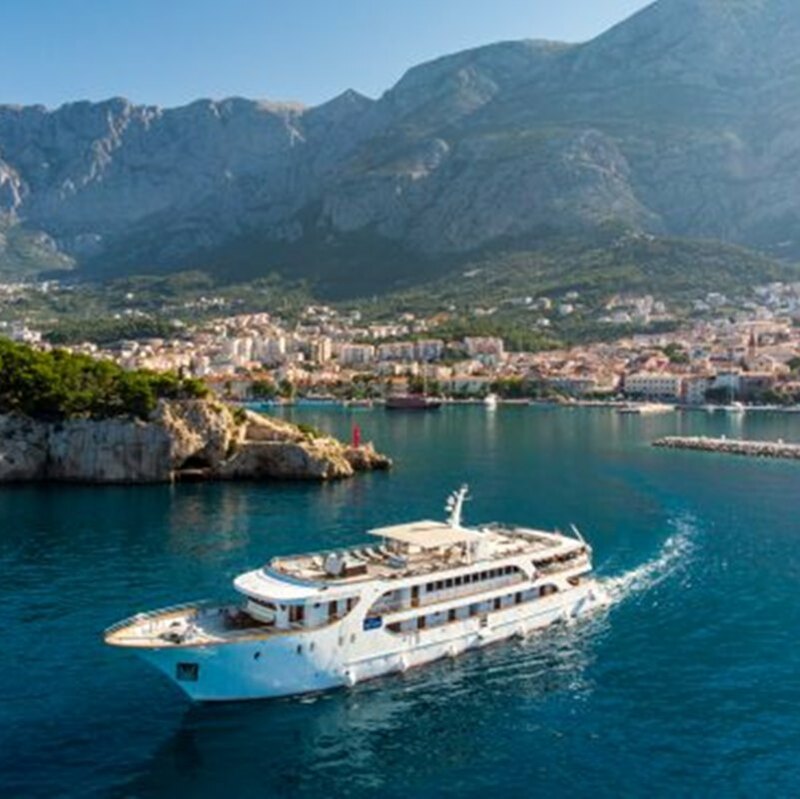 You’ll have opportunities for enjoying delicious eats at local restaurants on land as well as mouthwatering meals onboard, served on a half-board basis. A buffet-style breakfast with a wide selection of hot and cold foods are offered everything morning along with multi-course lunches. The bar serves a selection of beer, wine, spirits and soft drinks for purchase, payable at the end of the excursion. Dining is enjoyed in a casual, relaxed atmosphere with no formal dress code.